The November 2013 Mussel of the Month is Margaritifera margaritifera. The 13 species of Margaritifera are found in North America, Eurasia, and northern Africa — Holarctic. "... attempt to prove that freshwater pearl mussels belong to one species." That is, Bolotov et al. (2013) set out to show that Margaritifera margaritifera of the UK and northern Europe is a single species, and Bogatov (2013) argues that there are three species: M. margaritifera, M. elongata, and M. borealis. Readers too young to remember (or possessing too much common sense to be concerned) may not be aware that during the Cold War, the West and the Soviets disagreed about a lot of things — including how to classify freshwater mussels. Led by the late Yaroslav I. Starobogatov (1932-2004), many Soviet malacologists used a single character to differentiate species, the frontal curvature of the shell. You can click here to see a discussion on the topic as well as a picture, but the gist is that if this one character differed among shells, then the shells belonged to different species. This idea continues to be applied in some Russian circles, and where we see 7 species of Palearctic Margaritifera, they recognize 15 species in 4 genera. This practice of using one single character to conflate morpho-species with actual biological entities is known as the Comparatory Method (Graf, 2007). "It has been known for two decades that the curvature of the frontal sections of valves in large bivalve mollusks cannot be used in species identification. Bolotov et al. evidently considered that pearl mussels were divided into three species by the comparative method using the transverse (frontal) section of valves through the top perpendicularly to the longitudinal axis of the shell. However, this is not the case." "...freshwater pearl mussels were divided by the modified comparative method, which compared the contours of the maximum curvature of valves." This new system of using a slightly different single curve to distinguish species still has the same shortcomings of the former system. The Modified Comparative Method has nothing to do with science and lacks explanatory power. Anywho... Margaritifera margaritfera has a good looking shell, and we are glad to have an opportunity to come back to the Margaritiferidae for the Mussel of the Month. Bogatov, V.V. 2013. A lengthy discussion concerning the composition of the genus Margaritifera Schum., 1915 [sic] (Mollusca, Bivalvia). Biology Bulletin 40: 488-481. Bolotov, I.N. et al. 2013. Results of testing the comparatory methods: the curvature of the shell valve frontal section is inappropriate as a systematic character for the freshwater pearl mussel of the genus Margaritifera. Biology Bulletin 40: 221-232. Graf, D.L. 2007. 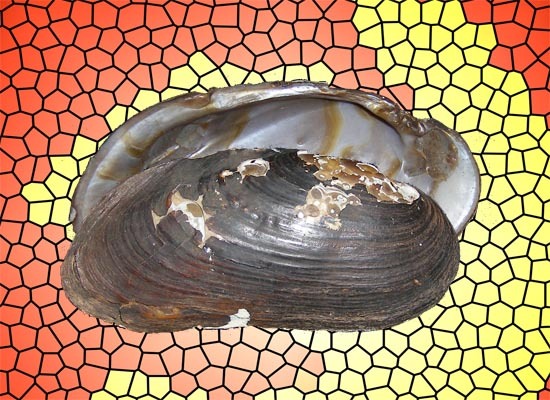 Palearctic freshwater mussel (Mollusca: Bivalvia: Unionoida) diversity and the Comparatory Method as a species concept. Proceedings of the Academy of Natural Sciences of Philadelphia 156: 71-88.